Hey There! Something new for you today…a guest post. Today’s post comes from June who blogs about personal finance with her husband Dan from the perspective of a dual income, no kids marriage (Update: Jane stopped blogging but I wanted to keep up her post, as it’s quite good). 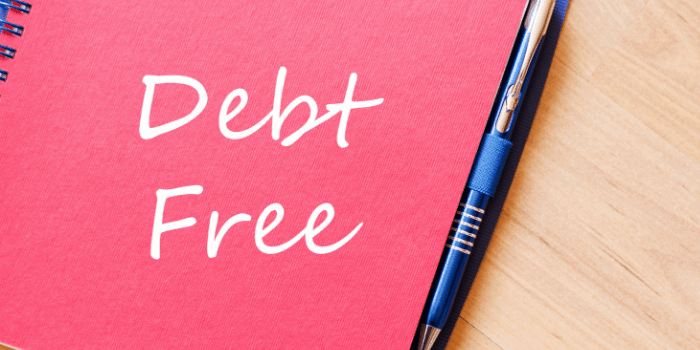 The idea of being debt-free can seem like an unattainable fairy tale that only happens to people who manage to win the lottery or suddenly inherit enough money to pay off their debt. The average American carried a total of $27,047 in debt in 2015—and that was before their mortgage, which could reach well over $100,000. Debt is a way of life for most families; instead of buying things with saved-up cash, they borrow the money and tie themselves to years of payments and interest. Dan and I know this perfectly well! After all, we have our fair share of debt to handle, even without kids. Some families have managed to untie themselves from the debt cycle and achieve a life free of worrying about interest rates and monthly payments. 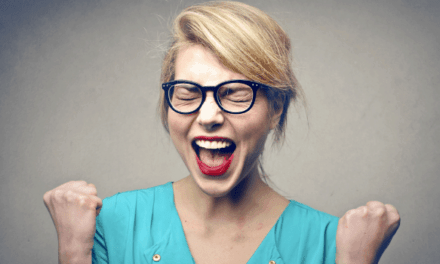 While it might seem like they somehow got lucky, the truth is that being debt-free is a lot more attainable you think—and those who have reached that point all have a few habits in common. 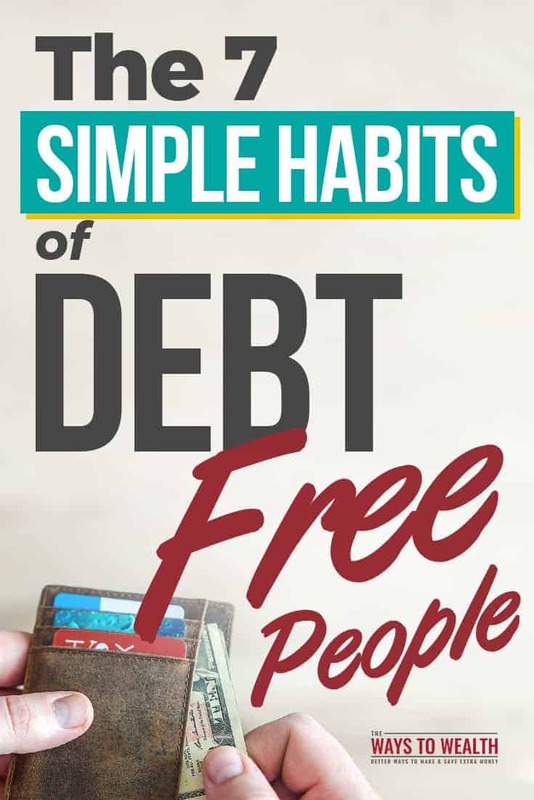 Those habits didn’t start when they became debt-free; in fact, those habits are how they got there. We try to mirror some of these habits. Those who have reached debt-free status know where their money comes from and where it’s going. Every dollar has a purpose and a destination, and those families have chosen to make debt-free living a priority. As a result, they are always conscious of where they are financially, and what needs to be done in order to stay on track. Part of that focus involves paying attention to detail. You won’t find a long-forgotten subscription still deducting a few bucks here and there in a debt-free family’s bank account because they know exactly where every dollar is going, and nothing comes out of their account without them knowing and deliberately choosing it. We try to mirror this focus by maintaining an accurate spreadsheet of our monthly finances. We have a pretty simple system down that we can update in Excel, so it’s easy to handle and maintain. We simply keep track of our major expenses, our income, and the smaller expenses are grouped together to help us get an idea of the big picture. The word “budget” often brings to mind an idea of poverty, or a rice-and-beans diet. In reality, having a budget simply means having a plan for your money—and sticking to it. Debt-free families sit down each month and make a plan for where their money will come from, how much they’ll have, and where it will go. 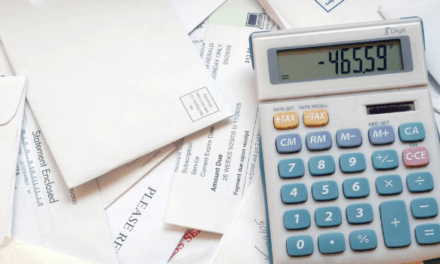 Each month has different expenses that pop up, and so every month requires a new budget. Perhaps even more importantly, they don’t allow themselves to be manipulated or marketed into deviating from their plan. Anything that is worth having, is worth budgeting for—and families who have achieved freedom from debt know that sometimes, prolonging gratification has exponential benefits. We recognized the need to stick to a budget early on, both out of necessity and preference. This ties in directly with our “laser focus” point because keeping tabs of cash flow with a spreadsheet is fairly instrumental in maintaining a budget. One of the biggest obstacles to sticking to a budget is that life happens. Cars break down, and people get sick or injured. Emergencies happen that require money to fix. If every dollar is spoken for in the budget, how can you pay for these little disasters? The answer is an emergency fund. Families who have been able to get out of debt want to stay free—and that means not reaching for a credit card or taking out a loan when they need money for an unexpected expense. Instead, they have an emergency fund set aside to handle those things. Contributing to that fund is a priority each month—no matter what happens. Our emergency? It’s not particularly unique, but it still counts. Dan’s car broke down in the middle of the week, and we had to get repairs done ASAP. Luckily, we had been saving for over half a year, and the repair costs were manageable enough with our savings. If you’re trying to get out of debt, that might mean taking a hard look at your finances and cutting the fat. Ditching your premium cable subscription for Hulu or Netflix—or even getting rid of them all—might be an option. Selling your second vehicle, boat, or luxury items might also be on the agenda; all of that can net you extra cash that can go toward paying off debt. Families who are debt-free can go back and get those items again later—with cash. 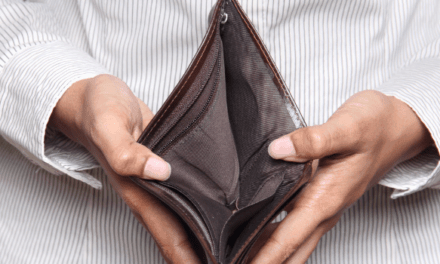 Even day to day expense you currently think nothing of, like eating out at restaurants, ordering pizza, or going to the movies are all things that can be cut out of monthly spending. We try to limit the takeout orders as much as possible (we’ll occasionally break on a weekend every month! ), but we saved the most from cutting our cable and just relying on Netflix. Also, Dan likes to turn the thermostat down… during winter. Every dollar spent on interest is a dollar that has nothing to show for itself. Refinancing debt to a lower rate is one way to make sure that your money is actually going to pay off your debt—and not just put more money in the bank’s pockets. Regardless of the type of debt you have—mortgage, home equity, student loans, auto loans, or even credit card debt—there are options to refinance and consolidate that could save you money on that interest. If you can get a lower interest rate, then you should be able to save money on your debt. If you can get a lower rate, then it’s recommended that you do it! However, you’ll want to stay away from the refinancing deals that seek to give you a lower monthly payment—you’ll pay more in interest and be in debt longer. We also have our own story for this. We both have student loan debt, and Dan had to take out more private loans at higher rates than I did. It was costing us, so we resolved to try and refinance after building our credit a bit. After learning more about the application process, we were able to find a helpful lender and reduce his rate overall. So we’re set to save some money if we can pay everything back. I had federal loans, so it wasn’t as much of a priority for me. 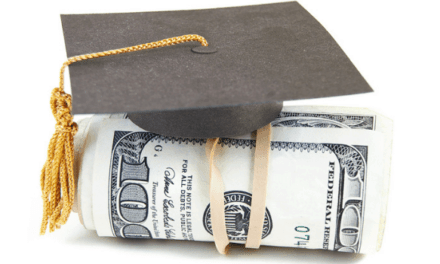 Personal Loans For Debt Consolidation: A Good Idea? Communication might initially seem out of place on this list, but it’s one of the most important habits of debt-free families. Talking to your spouse in an open and frank way about finances is critical. In a successful, debt-free family, there’s no one person who handles all of the finances. Each person performs according to their strengths. While one spouse may be a saver and better at strategic planning, the other might be better at managing the day to day payments and cash flow. It’s imperative that both parties talk to each other—that communication will ensure that payments don’t get missed and things continue to flow smoothly. While some couples might split their finances and bills into separate accounts, debt-free families know that is an easy way to get into deeper financial trouble. Communication and cooperation, however, are the keys that can keep your path to debt-free living much smoother. This is a variation on the saying “live within your means.” Rather than spend every dollar in the here and now, debt-free families pretend they make 10%, or even 20% less—and put that money towards their savings. Before they were debt-free, they used that ‘extra’ money to pay off more of their debt. Over time, not only was their debt taken care of, but they soon found themselves building financial independence—and even wealth. This just helps you save more, and it ties in with trimming your expenses. Living debt-free isn’t something you just wake up with one morning. It takes work, a bit of sacrifice, a bit of time, and a lot of dedication. It can be done, however, by cultivating the habits and behaviors of those families who have already achieved that success. Forming the right mindset—and the right behaviors—will have you joining the ranks of the debt-free and financially independent too.